Today’s numbers: We shared the gospel with 354 people and gave away 253 pairs of glasses. This was our biggest day yet! Check out the pictures and captions below to find out more about today’s clinic. 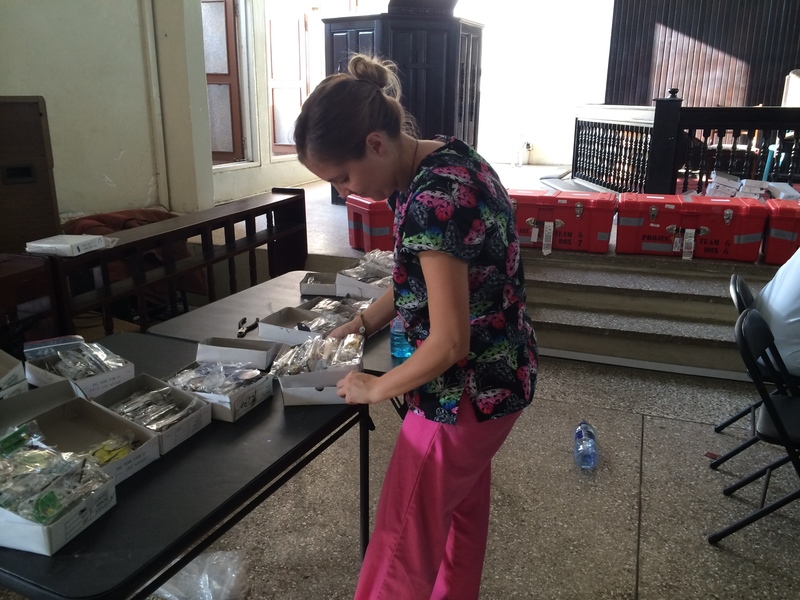 Pam works hard sorting reading glasses for the hundreds who need them. 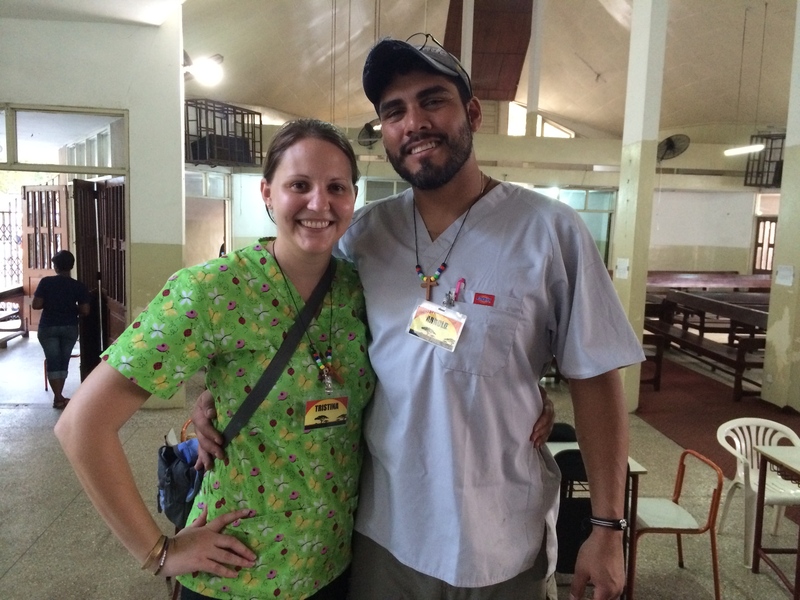 Arnold and Tristina have been working hard all clinic long! 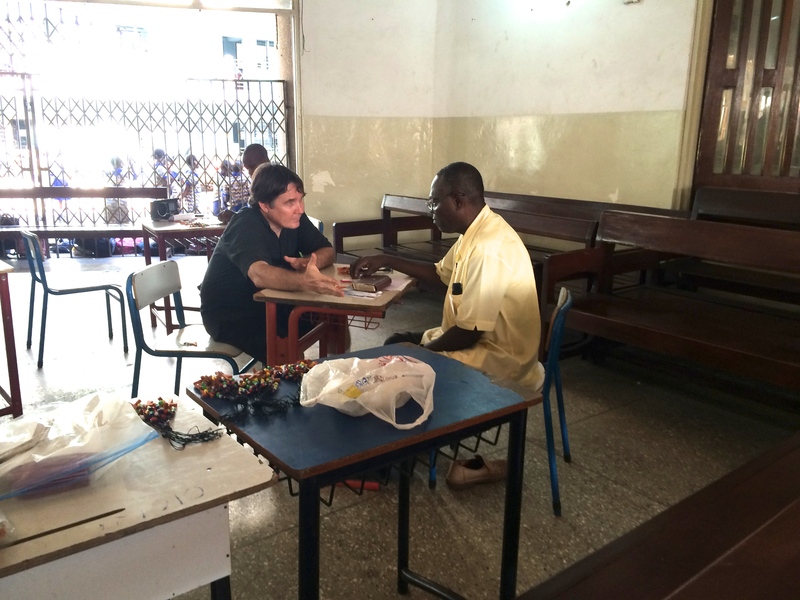 Our host, Ivan, talks to the pastor who is the president of the Lutheran seminary in Ghana and is taking some time out of his busy schedule to share the gospel with hundreds during the eye clinic. Tristina poses with one of our fabulous volunteers, Justice. Justice works hard routing people through the clinic to make sure everyone gets to the right place. More of our fabulous volunteers! 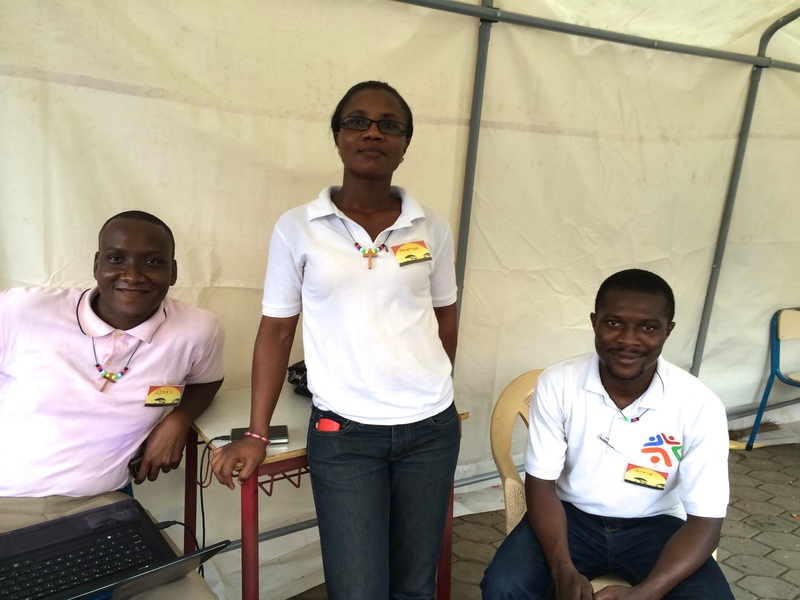 This devoted group sat outside all day in the hot Ghana sun welcoming visitors to the clinic. 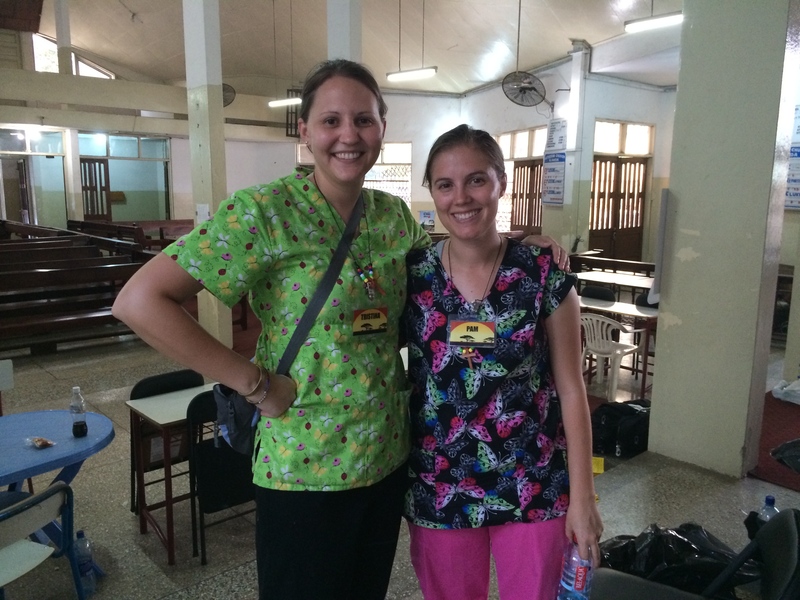 Tristina and Pam are still smiling even after a long day at the clinic. 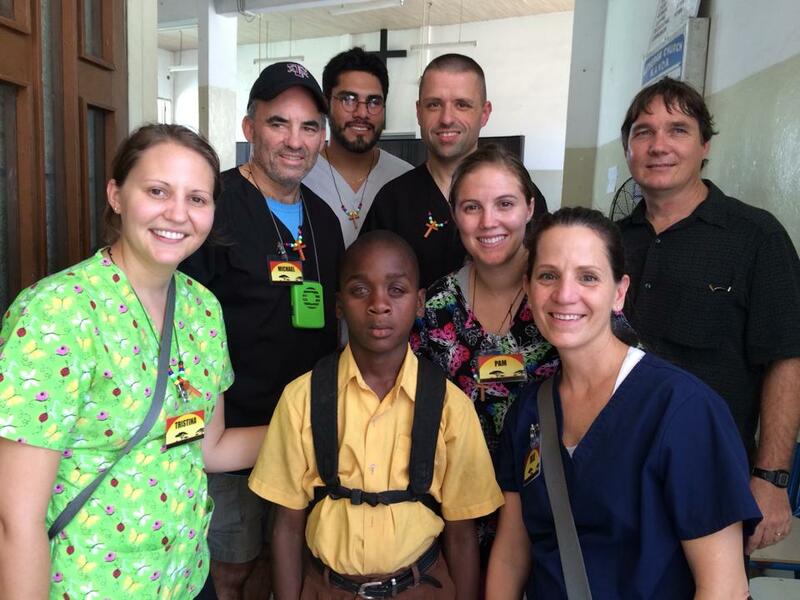 This little boy’s name is Michael and our team has decided to “adopt” him. 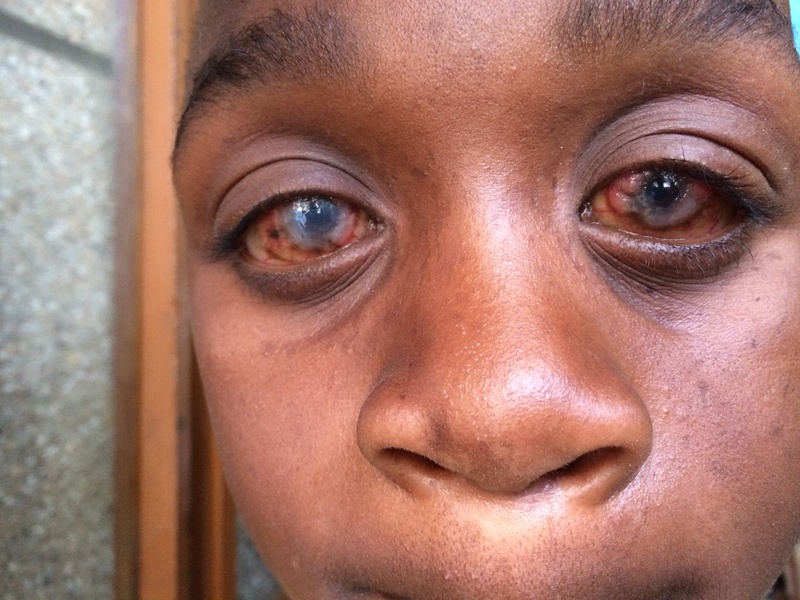 He has a degenerative eye disease and will need ongoing medical care to preserve what little vision that he has. 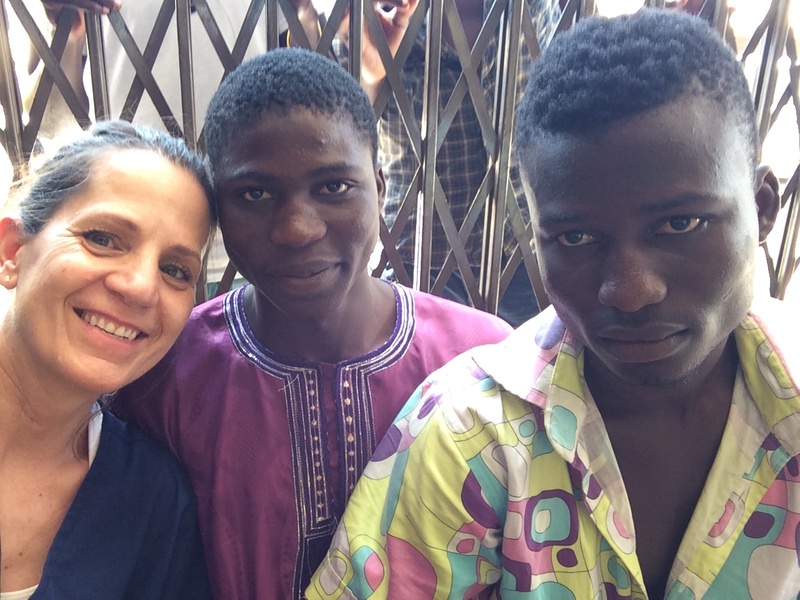 Our host, Ivan, has a friend, Mustapha, who works to build bridges between the Muslim and Christian communities in Accra. 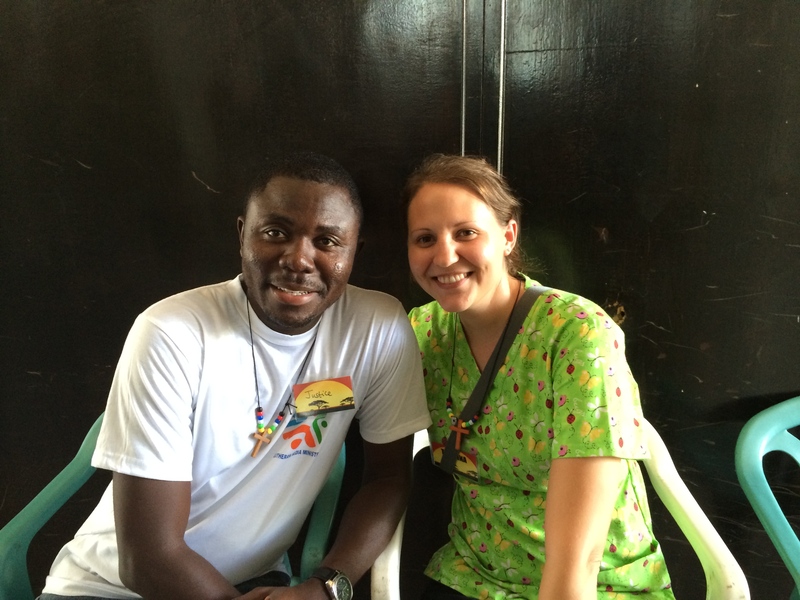 Thankfully, the relationships between Muslims and Christians are very good in Ghana. Mustapha has invited several of his friends to the clinic. 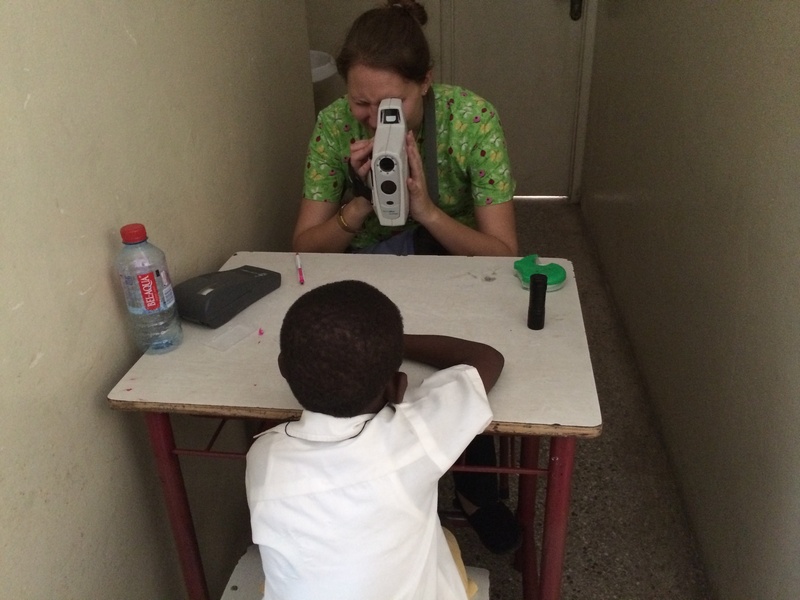 Tristina uses the portable autorefractor to measure a boy’s eyes for new glasses. The children of St. Paul Lutheran School in Accra are a talented bunch! Check out this video of their mad musical skills. Entry filed under: Mission Trip. Tags: Accra, Christian, Evangelism, Ghana, Jesus, Kids, Mission, Muslim, Outreach, Seminary, Spirituality, Theology, Vision Clinic.